If you have been intimidated by the auto financing process, or felt insulted by financing offers you have received in the past, there is a better way to get the loan you need to purchase a new vehicle. Simply work with the friendly professionals at Middletown Honda in Middletown, NY. Our convenient location is right in the heart of town, and we have successfully secured financing for customers from throughout the area. Simply hop onto NY-17 and get off at exit 120. We are just a few blocks to the east, and we can’t wait to work with you. Why apply for financing on other people’s schedules when you could work on your own? We offer online financing applications that take just a few minutes to fill out. Once all the details are entered into the system, you will receive a decision shortly thereafter. Fill out an application at any time, and find out how many options you have at your disposal. You’re also welcome to stop by the dealership for an application. We believe in openness, honesty, and transparency. Our goal is never to pressure you into taking out financing; it is always to help you to find the right financing. Let one of the experts on our staff sit down with you in person and walk you through the financing process. We would be happy to answer your questions, go through the fine print, lay out the most important details and help you feel confident about your auto loan. If you don’t feel like driving to out Middletown dealership, we would be happy to talk over the phone, by Internet chat, or through email. Just because you have financial mistakes in your past does not mean you should be denied auto financing. If you have bad credit, no credit, or even an issue with a bankruptcy, we can generally still approve you for financing. We don’t think your past should have to affect your future, which is why we are committed to working with any applicant, regardless of their credit. 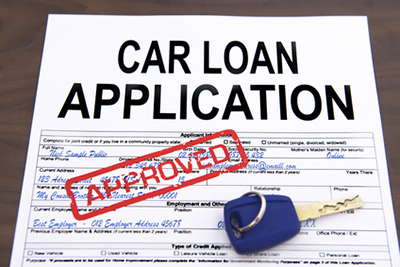 The sooner you get approved for financing, the sooner you can start shopping for your new vehicle. Fill out an application online, and then make your way to Middletown Honda at 520 Rte 211 E Middletown, NY. Let our financing experts show you how pain free the process can be.